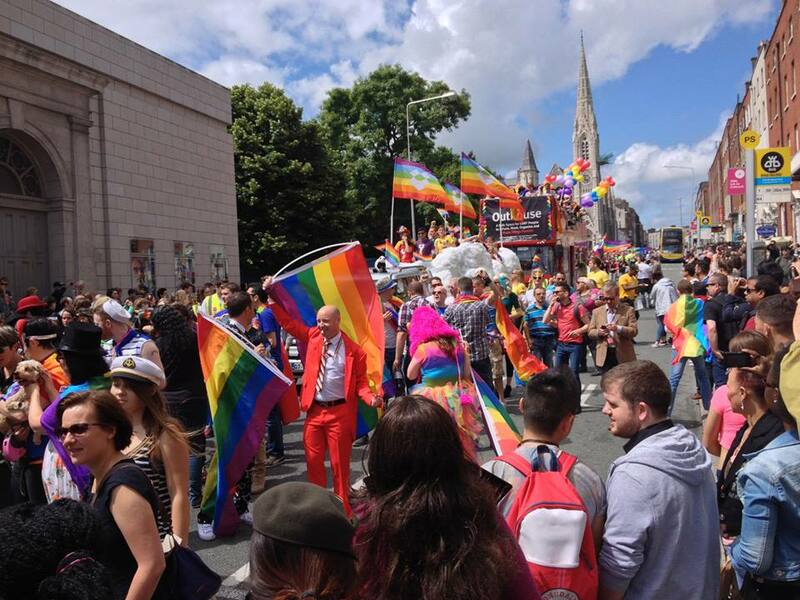 Over 40,000 people took to the streets of Dublin yesterday to take part in a massively successful Dublin Pride parade, which started at the Garden of Remembrance on Parnell Square and finished up at Merrion Square (click on link below for more photos and link to Garda Band video!). Many Irish societies, groups and companies took part in Ireland’s second largest festival, second only to the St. Patrick’s Day parade. Amongst those represented were Google, Facebook, the Irish National Teachers Organisation, Sinn Féin, Labour, Fianna Fáil, the Greens, Fine Gael and many, many more. The parade was led by Dublin Pride’s Grand Marshal, Colm O’Gorman, who is also Executive Director of Amnesty International Ireland. Colm was joined in the parade by his husband and two children in a horse-drawn carriage through the city. An impressive and somewhat poignant ‘first’ for the city’s LGBTQ festival was the presence of the music band of An Garda Síochána, whose first song in the march was Pharrell Williams’ ‘Happy’. [Watch the video clip on EILE‘s Facebook page]. It was the first time that the Gardaí were actively involved in an Irish Pride festival, although another ‘first’ for the Gardaí took place recently when a uniformed Garda marched in Berlin Pride. 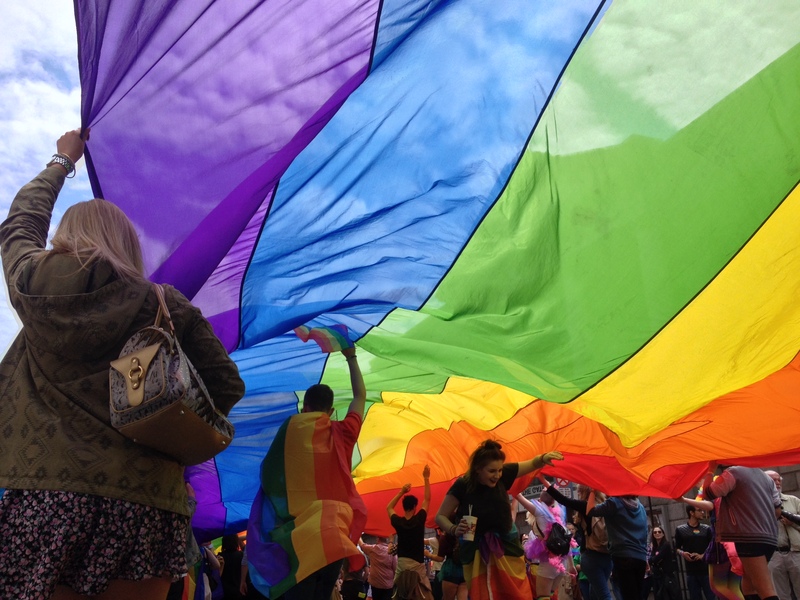 For many more colourful photos of yesterday’s Dublin Pride parade, visit our photo album of the event on our Facebook page!